Thank you! That looks like a &quot;lash egg&quot;. 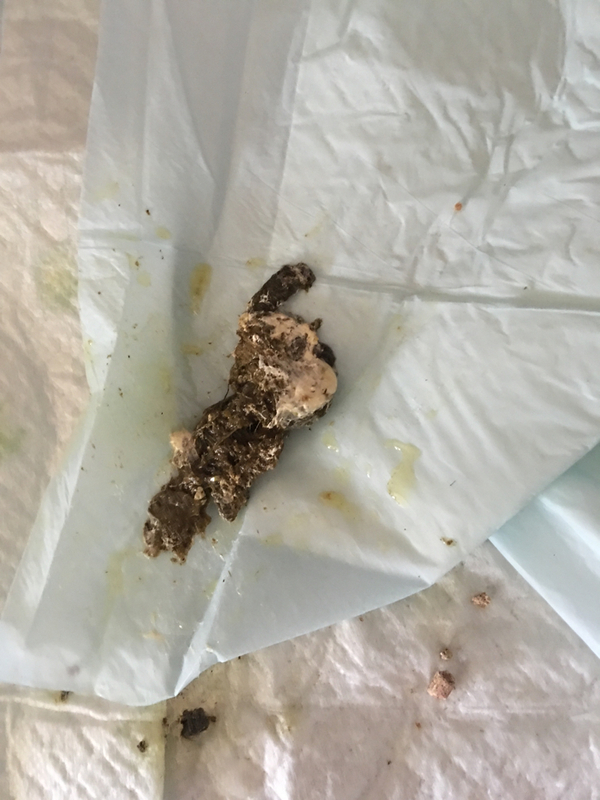 Take a look at this interesting article: http://chickensaspets.uk.com/lash-eggs-and-dangerous-advice-from-bloggers/ She&#39;s going to need the services of an avian vet (please see here: www.aav.org) if only to investigate her swollen belly (ascites) which can be caused by quite a few different disorders - none of them pleasant. Ascites is most commonly caused by pulmonary hypertension resulting in the failure of the right ventricle, one of the heart&#39;s four chambers. 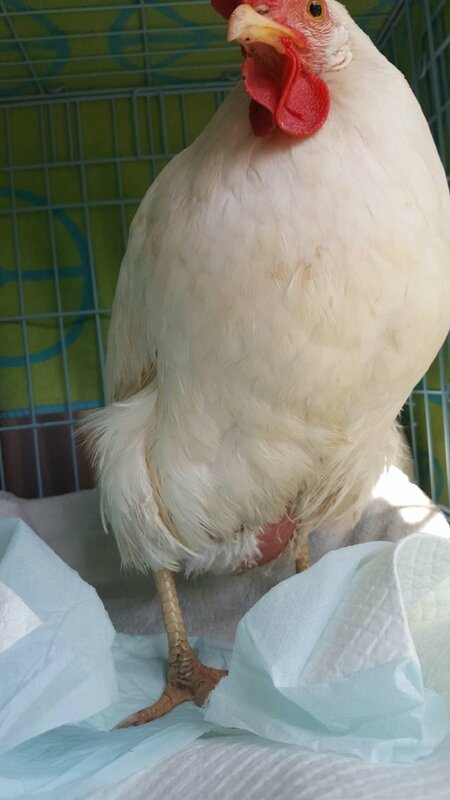 Ascites is most common in broilers raised at high altitudes (altitudes greater than 3,500 meters) but any chicken - particularly older layers - can develop heart disease. 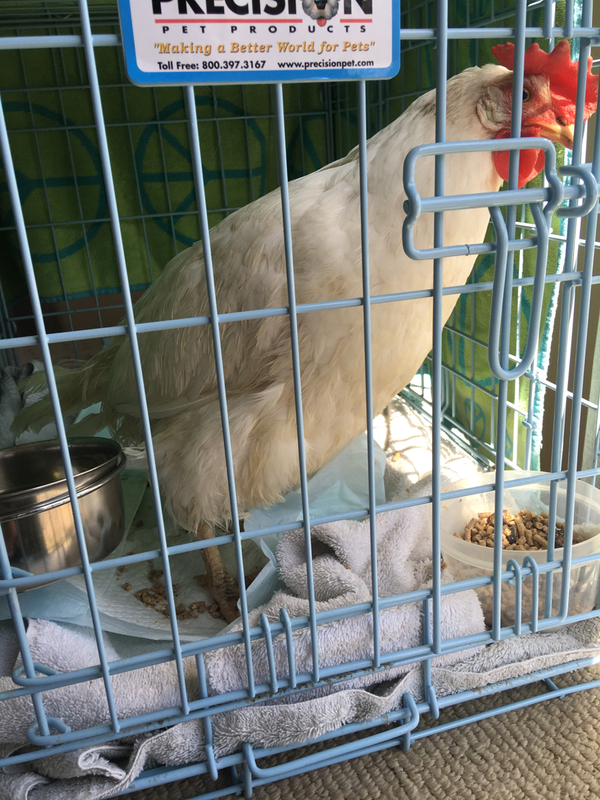 The decreased supply of oxygen (hypoxia) at such altitudes can lead to pulmonary hypertension.Ascites due to pulmonary hypertension can also occur in chickens raised in low-altitude areas. Ascites at low altitudes is usually the result of the demand for oxygen in fast-growing birds that have respiratory systems unable to handle such high demand. The oxygen requirement of fast-growing broilers can be reduced by slowing growth. Strategies to slow growth include reducing the number of hours of light exposure the birds experience per day or feeding birds a low-energy diet.Ascites can also occur as a result of liver damage caused by aflatoxins (toxins in moldy feed) or toxins from plants such as Crotalaria (also known as rattlebox or rattleweed) or by Clostridium perfringens infection. 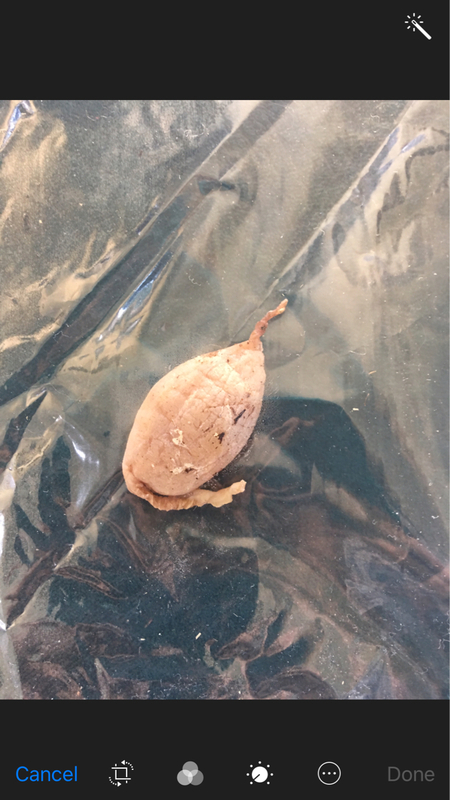 A swollen abdomen can also be caused by a yolk peritonitis or cancer within the abdomen but those birds would be expected to appear more ill than Sandy. Please respond with further questions or concerns if you wish. Ugh. thanks for your reply. Is there a way to make her more comfortable? Should I bath her in warm water again later. I also saw a flush with vinegar water would help. Hoping to get her to vet in am, do you think that she will make it? You can add aspirin to her drinking water at a dose of 5 gr (325 mg) per pint of drinking water. I don&#39;t see the need for a bath nor a vinegar water flush. I regret that it&#39;s very difficult for me to prognosticate at this time. A definitive diagnosis hasn&#39;t been made but if she&#39;s truly ascitic she&#39;s in trouble. I understand how you can get attached to these hens. Make friends with a poultry vet. It&#39;s very difficult for poultry keepers to know why their birds are ill. It&#39;s very difficult for us to know as well. We can perform blood tests and cultures and even X-ray these birds but we&#39;re often constrained by the financial implication of diagnostic testing on flocks. Please continue our conversation if you wish. Thank you do your advice and support. It is hard having chickens as you stated. I lost a few over the winter and am beginning to think I don't have the heart for it...they are just too darn cute with lives way to short. Thank you again. I understand. You&#39;re quite welcome. I can&#39;t set a follow-up in this venue so please return to our conversation - even after rating - with an update at your convenience. I will update you. Hope she I not to uncomfortable and that she makes it to the vet in am. I appreciate it! I&#39;ll think good thoughts for Sandy. If I flushed he r with a vinegar water mix. Thank you for the update, Betsy. I&#39;m pleased to hear how nicely Sandy was attended to. I can&#39;t set a follow-up in this venue so please return to our conversation - even after rating - with an update at your convenience. 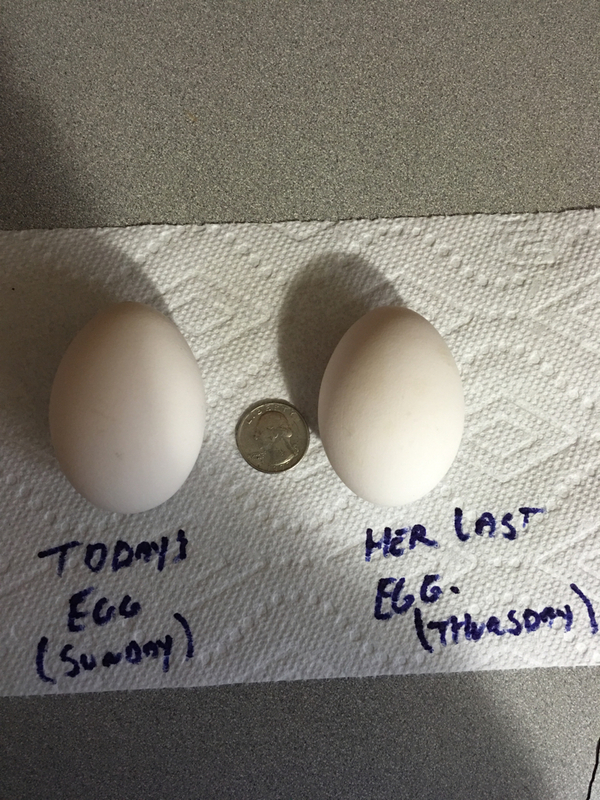 I have had 2 chickens over the past year, healthy and active.